Many factors affect the way people experience drugs. Whether it’s legally obtained drugs, or the prescription kind, obtained from a drugstore with a doctor’s prescription, the way people experience those drugs varies widely. Recently we’ve seen an epidemic of deaths because of the use and abuse of prescription pain medication. Some people are in chronic pain; pain medications alleviate their suffering and allow them to function. Other people like the way those drugs make them feel or the way they keep them from having to feel anything. People who take powerful painkillers for emotional reasons, to get high, run a high risk of becoming addicted. Three characteristics of addiction tell us that as people develop tolerance, experience withdrawals, and begin to have cravings for a drug of abuse, the risk that will take larger and larger amounts increases. What are some of the factors that affect the drug using experience and may result in drug use turning into abuse, addiction, and the development of the drug use disorder? Drug dosage influences the using experience. With most drugs, small amounts of drugs produce smaller effects. Common over-the-counter pain relievers a relatively safe and not likely to cause addiction when taken as directed. Take large amounts of over-the-counter pain relievers and the risk of permanent damage to your liver or kidney, possibly even death, becomes a real possibility. Drink one standard drink, let’s say a single twelve-ounce beer, each day, and you’re not likely to develop an alcohol use disorder. Drinking a six-pack a day and you will begin to build tolerance. Eventually, that drinker will need to drink a case of beer a day to feel the same effect. The higher the blood alcohol content goes on anyone drinking occasion, the more the risks. A large percentage of the people in America have tried marijuana. Most find it doesn’t affect their lives. But a small number of marijuana smokers voluntarily seek treatment for cannabis use disorder. What is different about the people who seek out treatment for a marijuana-related problem? Most of the people who develop problems with marijuana smoke every day and the quantity they smoke has increased over time. 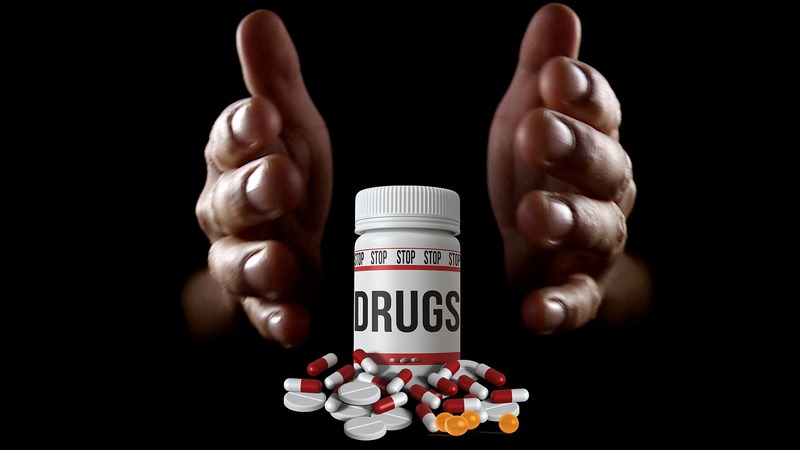 When it comes to opiates, stimulant drugs, or other recreational drugs, the higher the dose, the more the risk. How the drug gets into your body affects the experience. The way in which drugs enter the body is referred to as route of administration. Let’s use opiates as an example. It’s possible to smoke heroin, the high is experienced almost instantaneously, but a lot of the potency is lost in the process of smoking. Any drug that is smoked produces a rapid high and equally rapid withdrawal. An equal amount of heroin mixed into a beverage and swallowed will be slower to take effect. Much of the potency is destroyed as the drug goes through the stomach. Stomach acids neutralize a large part of the potency of many drugs. That same dose of heroin can be injected, producing a much more intense effect when the large dose reaches the brain. People who inject drugs experience much more intensive effects. Psychological factors alter the experience of drug use. Psychological set, the mood someone is in impacts the drug using experience. Someone who is in a happy mood and drinks alcohol may feel an increase in their happiness. They are celebrating. Someone who was angry and drinks may become angrier and more likely to act on that anger as the alcohol disinhibits them. A person who is sad and depressed who drinks alcohol is at an increased risk of developing severe depression and possibly making a suicide attempt. Setting, the place where someone uses the drug, also alters the effects of the user experiences. Millions of people receive painkillers while in the hospital. Most of them do not become addicted. But the same quantity of drugs, purchased in an alley from a drug dealer for recreational use, are much more likely to result in a substance use disorder. Other psychological factors that alter the drug using experience are the placebo effect and the Nocebo effect. Your belief that the drug will have a beneficial effect is likely to produce that effect, whether that effect is positive or negative. If you think a pill will cure your headache, it probably will, even if it does not contain any active ingredient. People who believe that a particular medication will give them headaches are more likely to get headaches even when the pill is a sugar pill. This entry was posted in Drugs and Addiction and tagged drug dosage, drug use disorders, drug use setting, drug using experience, drugs of abuse, Nocebo effect, placebo, psychological set, route of drug administration by David Joel Miller. Bookmark the permalink.